Well, they say there´s no rest for the wicked, and no sooner was I back home than I was out digging up chilli plants and other sad looking vegetables. It´s been a fantastic year for the chillies, I have grown five varieties, although I don´t know really what they´re called. Long chillies, medium chillies in red and yellow, round chillies and tiny ones which are probably cayenne. 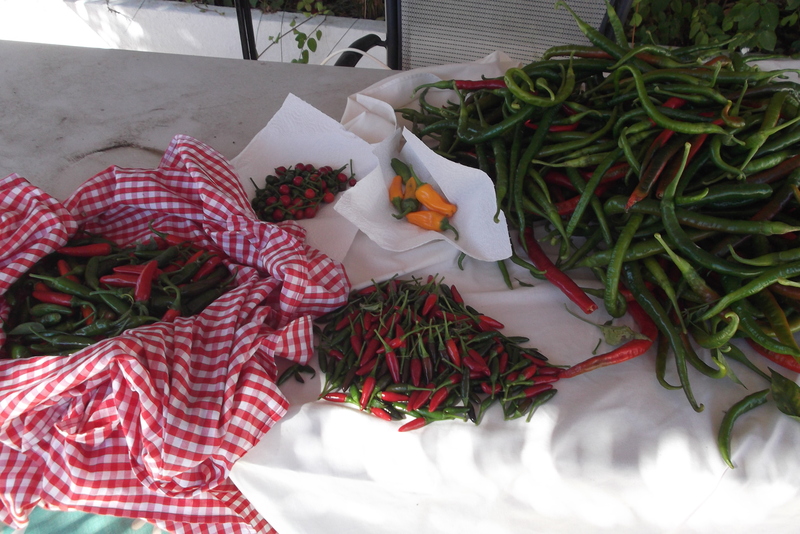 Anyway, it´s a lot of chillies. This is about two thirds of the crop, the rest have already been pickled, frozen, dried or made into sweet chilli dipping sauce. Check out this amazing recipe from Natalie at Cook Eat Live Vegetarian. 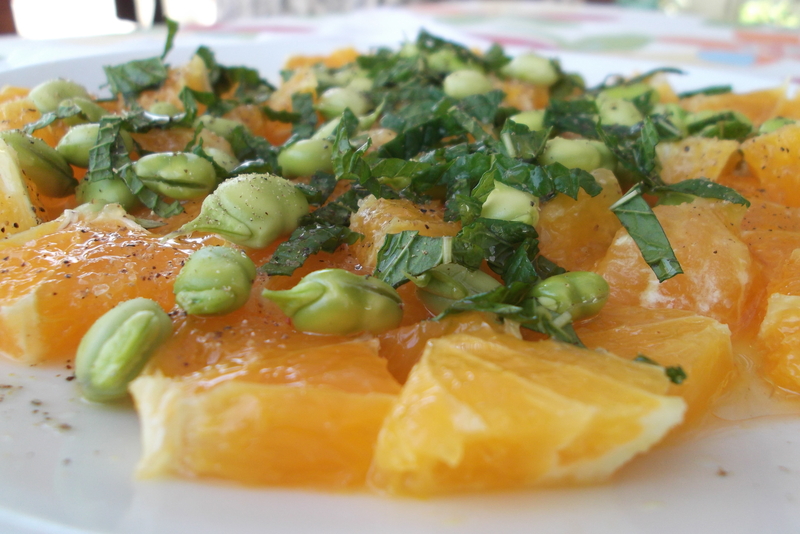 I´m also going to try Fati´s recipe here later this week. I spent a happy couple of hours putting my sewing skills to use in rather a different way. Using strong cotton thread and my own special patented (!) 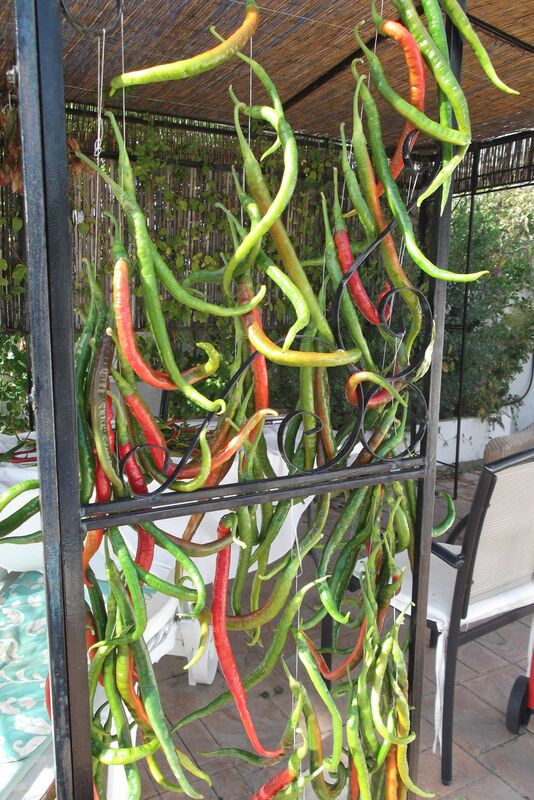 stitch, I strung a couple of hundred chillies up to dry in the sun. If the weather turns bad, I´ll hang them up in the shed where it´s nice and dry. 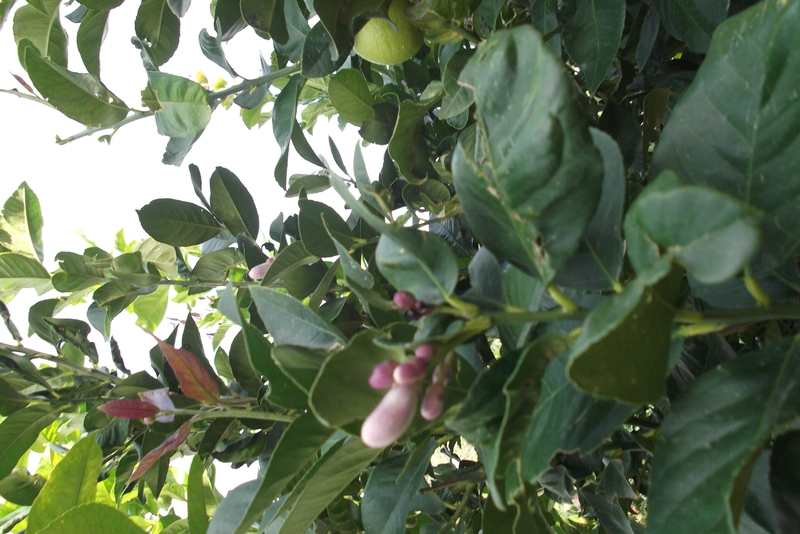 When we moved to the house three and a half years ago we planted our lemon three which this year finally took off and started producing lemons. 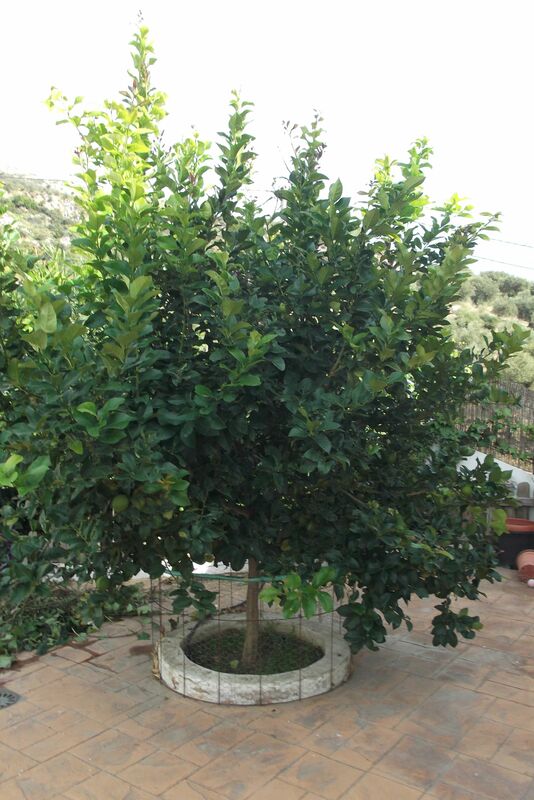 It´s gone a little mad now but we´ve been advised not to prune it until May. 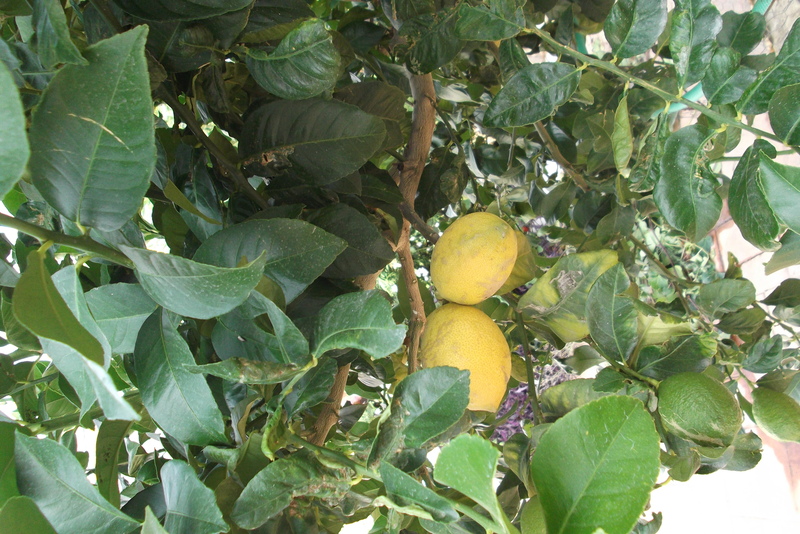 Fortunately we now have lemons which have very kindly decided to turn yellow. And new flowers every new moon. 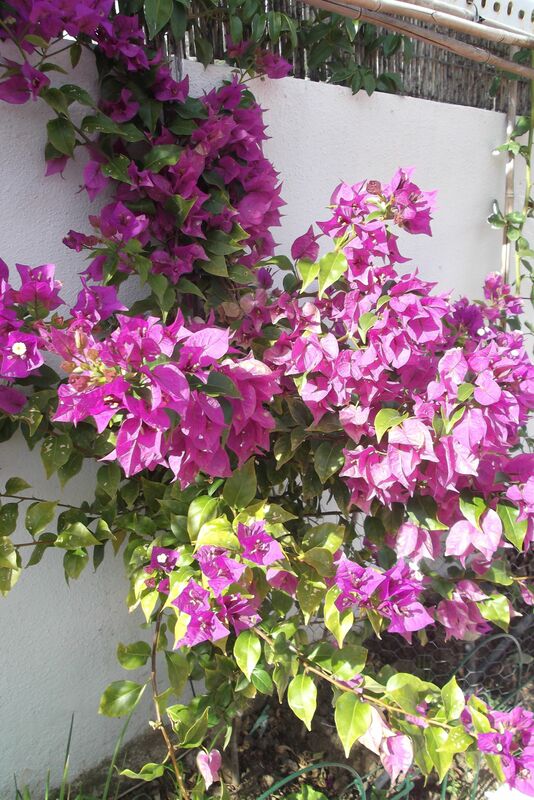 Then, just to take us by surprise, although I think it knew its days were numbered, our Bougainvillea finally decided to stop looking like a dead twig and make our garden look Mediterranean. 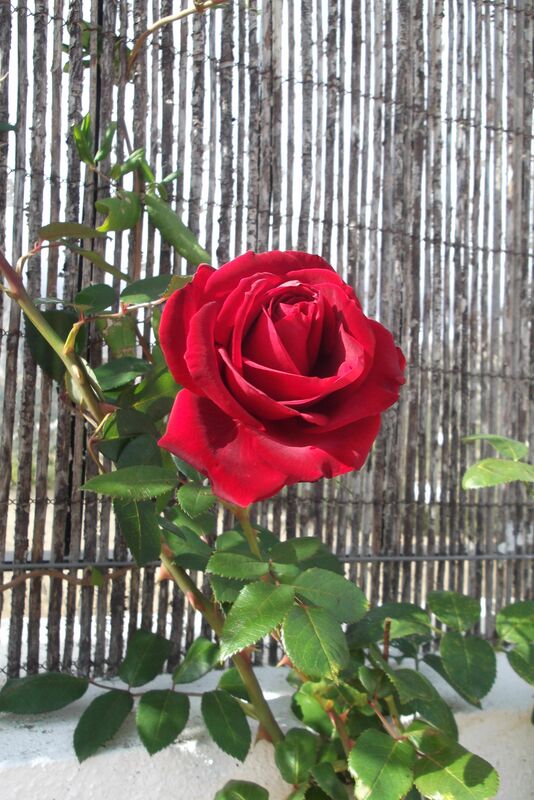 So the roses decided to join in. The garden seems to think it´s spring, so “shhhh” don´t say a word and for goodness sake don´t tell it it´s really autumn. It´s that time of year again. 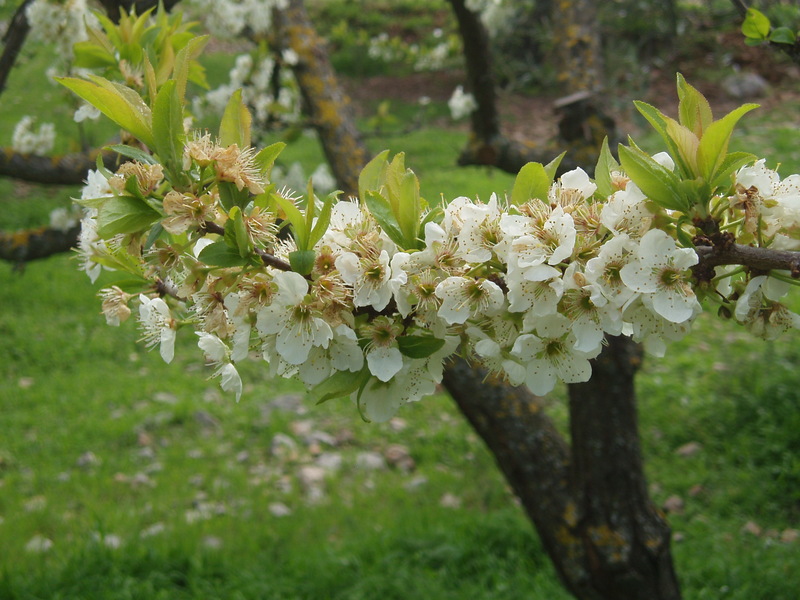 Spring has sprung, or at least it´s starting to spring and our plum tree which sits quietly in our little olive grove has exploded into blossom. Couldn´t resist taking a few snaps. 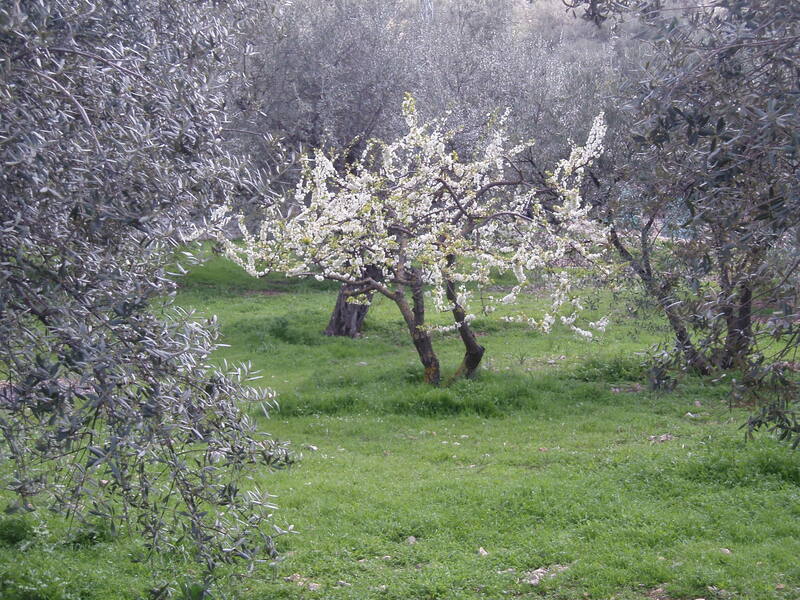 The olives are showing their first very tiny flower buds which will start to open up very soon. 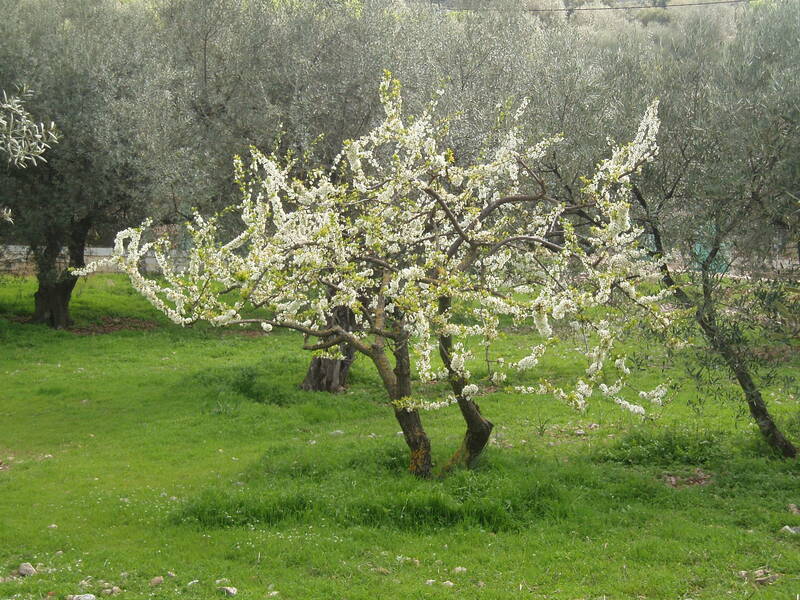 This, alas, I´m not looking forward to as I am hideously allergic to olive pollen and have suffered terribly for the last few years. Fingers crossed that the 3 year programme of medication I´m signed up to with Malaga hospital does its thing. Have been taking drops daily since October, so it will be interesting to see if I suffer any less this year than last…. !